Dr. Colleen Trombley-VanHoogstraat (“Dr Mom Online”) is an expert in Natural Health & Wellness. She is a Doctor of Chiropractic with 18 years of hands-on clinical experience in the Wellness Practice she shares with her husband, Dr. Marc VanHoogstraat, in Michigan. Dr. Colleen is also an author, speaker, and private consultant/coach. 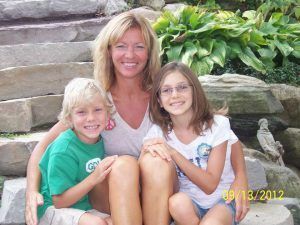 Most importantly, Dr. Colleen is the proud mom of two healthy, happy, funny children that she has home schooled for the past several years. Her undergraduate degree is in Applied Kinesiology and Exercise Physiology and she has continued her education in the fields of Integrative Health, Metabolic Recovery, Brain-Based Therapy, Nutrition, Movement, and Chronic, Degenerative conditions. To discover her simple strategies for creating better health through nutrition, movement and mindset, regularly visit http://DrMomOnline.com , http://Facebook.com/DrMomOnline and http://Twitter.com/DrMomOnline. Also, check out her available books at http://amazon.com/author/drcolleen . For more information about working privately with Dr. Colleen in an Integrative Health Recovery Program for any number of metabolic and health issues, such as thyroid imbalance, weight loss resistance, hormonal imbalance, food sensitivity & gut permeability, cellular detoxification, and more, please contact her directly here. Distance programs are available.